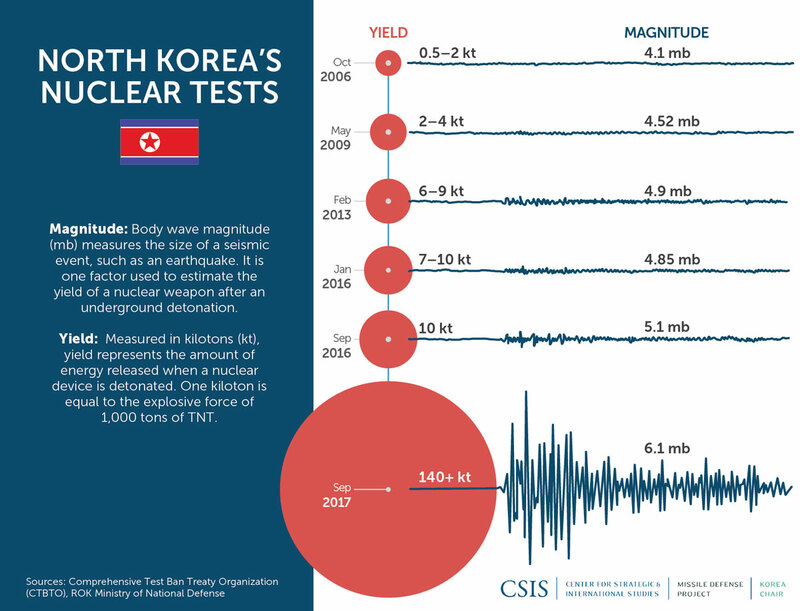 The following database provides a chronology of North Korea missile launches and nuclear detonations, also reflected in the graphics above. These entries include full flight tests of ballistic and cruise missiles, both successful and unsuccessful, and nuclear tests. It does not include partial tests of missile subsystems such as static engine firings or cold-launch ejection system tests. It also does not show tests of air defense systems, or short-range rocket and artillery firings. 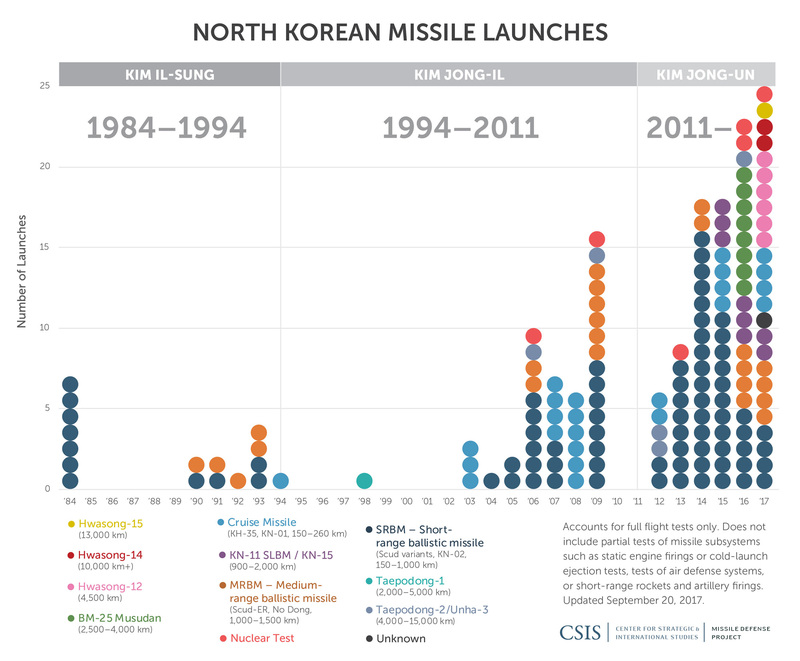 Missile Defense Project, "North Korean Missile Launches & Nuclear Tests: 1984-Present," Missile Threat, Center for Strategic and International Studies, April 20, 2017, last modified November 29, 2018, https://missilethreat.csis.org/north-korea-missile-launches-1984-present/.